Honorable members of the Kogi State House of Assembly will from September 12 2017 , wear name tags as part of security measures directed by the Speaker, Prince Matthew Kolawole. 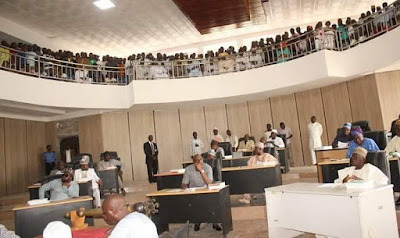 Kolawole, in an interaction with members of the Correspondents’ Chapel of Kogi State Council of the Nigeria Union of Journalists (NUJ) in Lokoja, added that accredited journalists covering the House proceedings and visitors to the complex will also be mandated to wear tags. This according to him the measure was to enable easy identification of authorised persons that come to the assembly.